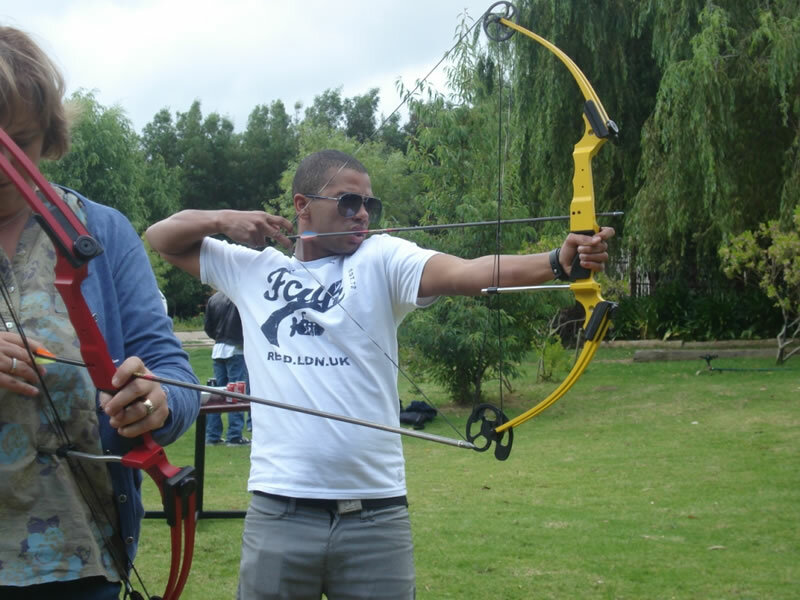 Archery, has historically been used in hunting and combat, and has now become a precision sport. 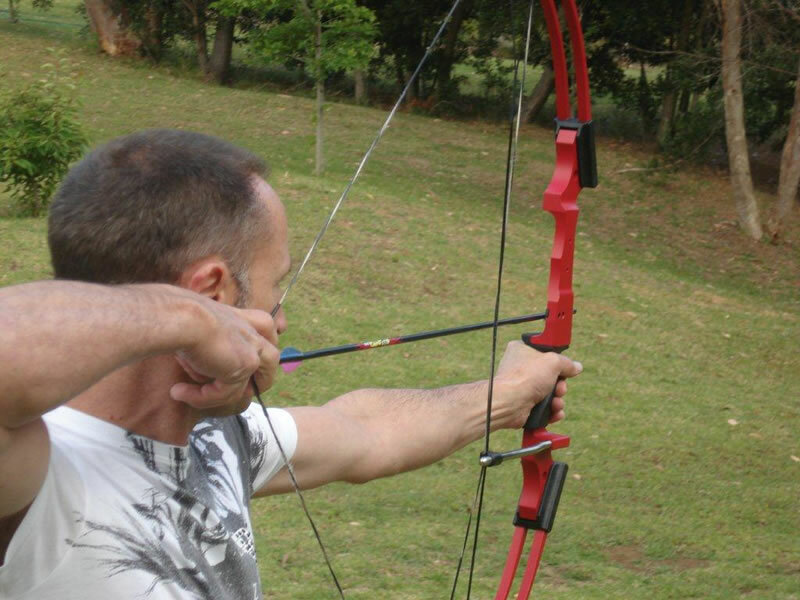 We use entry level compound bows for our target archery activities. These are designed to reduce the force that an archer must hold, yet increase the overall energy stored by the bow. The targets are marked with evenly spaced concentric rings but a direct hit on the bulls eye is what we are aiming for!! 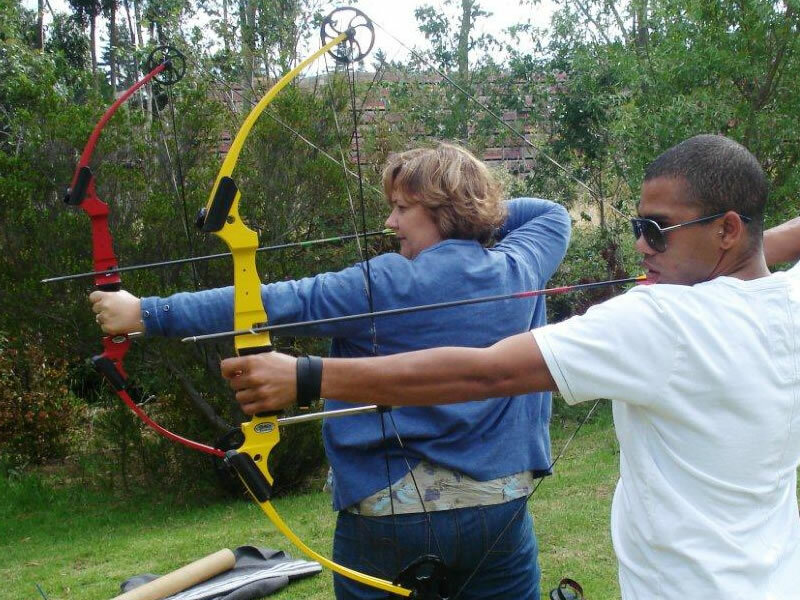 We can vary the distance of the targets depending on the skill of the archer.We offer archery at our own venue, the Tri Active Lodge in Elgin Valley, often combined with clay pigeon shooting and air rifles. It can however, be offered at other venues depending on the space available in the grounds. As safety is a priority, the area will be cordoned off, with a safe distance set behind the target for those “practice” shots.